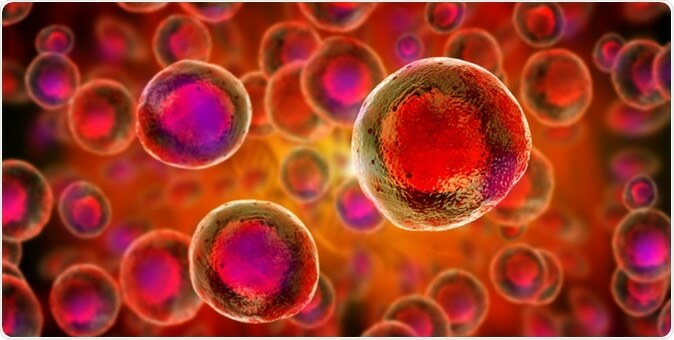 Patients with relapsing multiple sclerosis (MS) have benefited from an experimental stem cell therapy. MS is an autoimmune disease where the central nervous system is affected. It is severely debilitating and means a slow and progressive death for the patients. A new study titled, ‘Effect of Nonmyeloablative Hematopoietic Stem Cell Transplantation vs Continued Disease-Modifying Therapy on Disease Progression in Patients With Relapsing-Remitting Multiple Sclerosis’, and published this week in the latest issue of the journal JAMA has shown that stem cell transplant in these patients using a low dose chemotherapy along with immune suppressors could help prevent the progress of this disease – Haematopoietic Stem Cell Transplant (HSCT). Lead author of the study Dr. Richard Burt, chief of Immunotherapy and Autoimmune Diseases at Northwestern University Feinberg School of Medicine in Chicago said that he would not call it a “cure” for MS. He said that the patients who underwent the trial did well. Only a small number of the study participants reached the five year mark without relapsing he said. With traditional treatment, a majority of the patients do not reach this five year mark. The HSCT according to the research works by rebooting the immune system. Burt said, “Out with the old, in with the new”, calling this a “one time treatment”. Once this treatment is complete, drugs are not needed, he explained. He said that for this treatment the patient’s blood stem cells are collected and then the patient’s immune system is supressed using chemotherapy drugs. Once the immune system is suppressed, the stem cells are re-injected into the patient to restart the immune system. At present the treatment for MS involves use of disease modifying therapy where several drugs are used. These modify the immune system. In this new study 110 patients from different medical centres in the United Kingdom, United States, Sweden and Brazil were recruited. These patients had relapsing-remitting MS and were part of the randomized clinical trial. One half of them were given HSCT protocol treatment while the other received disease modifying therapy which is different from the drugs they had used before. Results showed that those receiving HSCT benefited more than those who did not. Of the 55 patients receiving HSCT, only 3 showed progression of the disease within a year of treatment. Disease progression within one year was seen in 34 of the 55 patients who had received just the disease modifying drugs. This progression of the disease was measured by the researchers using the Expanded Disability Status Scale. It was seen that among those who received HSCT, disease progression at two years was around 2 percent. At three years the progression was 5 percent and at four and five years it was 10 percent. No progression of the disease was seen among these HSCT patients in proportions of 98 percent in one year, 90 percent in three years and 78 percent in four and five years respectively. On the other hand those who were on the disease modifying drugs had a greater percentage of disease progression at the end of one year (over a quarter), at two years (over half of the patients) and at five years (around three quarters). No evidence of disease was seen among 40 percent at six months, 21 percent at one year and 3 percent at four and five years among those taking the drugs. Side effects were seen among patients of both groups. Those with HSCT developed infertility and autoimmune thyroid disease said Burt. Experts have said that larger studies are needed to prove that the findings hold true for all patients. They have pointed out that earlier studies have shown that stem cell therapy has not worked in patients of progressive MS. Burt said, “This should be done in a major university medical center.” Burt added that the HSCT needs to be further modified and tuned to be made safer. “The hope is to change the natural history of this disease,” said Burt. “This data suggests we’re doing it,” he concluded.